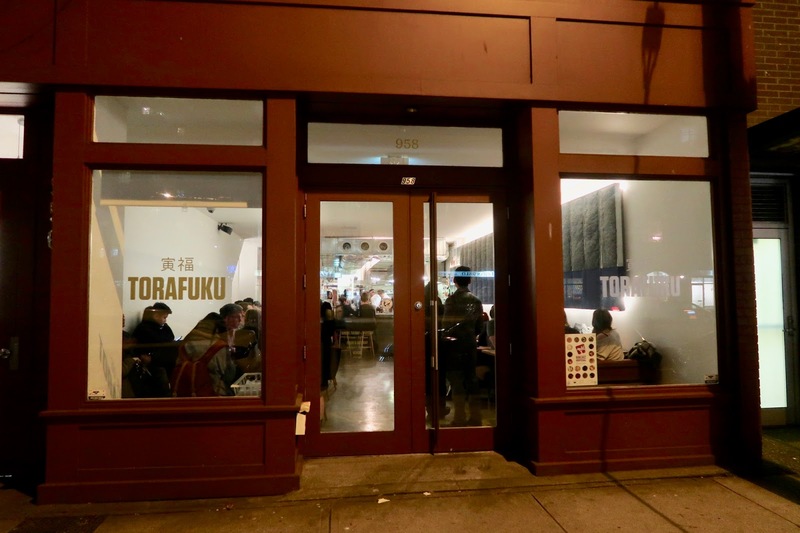 For a long time, I've known about Torafuku, the Asian fusion restaurant known for its quirkily named menu items. There's the Eat Yo Veggies, the Get in My Belly, the Magic Mushrooms, the Finding Dory, the Poke Her, and many more. Dine Out Vancouver presented a great opportunity for me to finally try Torafuku, but there was one caveat: the dishes had to be shared between two people. Since my only free day was Chinese New Year's Eve, finding someone to go with me proved almost impossible. I thought about calling in to ask what would happen if I have no friends, but fortunately, at the last moment, Lara came to the rescue. The restaurant was packed when we arrived, with the reverberant walls and windows, things got quite loud inside. Since there isn't really a designated waiting area, everyone waiting for a seat just crowded around the door. Luckily, we had a reservation, so it wasn't long before we got a table. 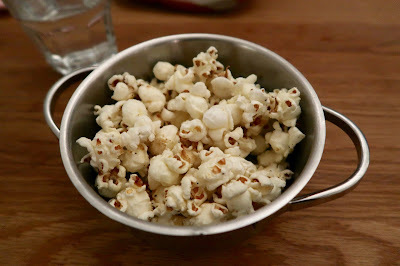 While waiting for our orders to arrive, we received a generous, complimentary offering of Garlic Butter Popcorn. The garlic butter gave the popcorn a unique flavour, which both of us enjoyed. 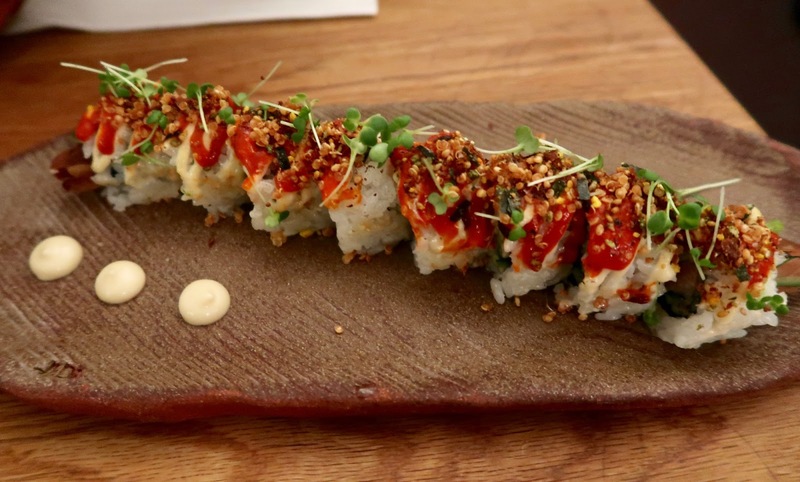 Kicking off our entrées was the Kickass Rice 3.0, a roll with torched pork belly, furikake, cucumber, avocado, red shiso, miso mayonnaise, and Torafuku spicy sauce. I got a kick out of the fatty, tender pork, and the sauces provided a moderately spicy kick. However, the toppings, when combined, created a pizza-like flavour that obscured the pork. The kickass factor was just moderate with this one. 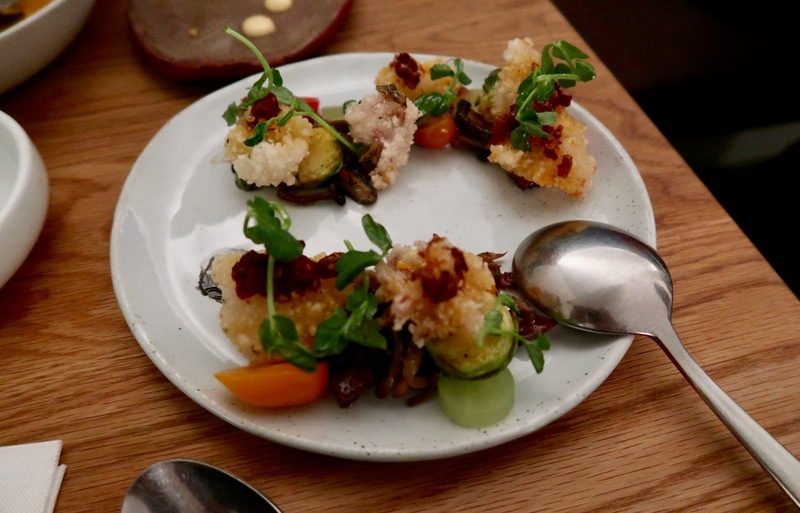 The Calamari 2.0 consisted of crispy squid, brussel sprouts, local mushrooms, compressed apples, nero aioli, and angry tiger sauce (whatever that meant). It was spicy, and I liked how the batter on the squid was not hard. However, Lara found it a little oily, and I found the squid slightly weak in flavour. The juicy mushrooms that accompanied the calamari were truly kickass though. To celebrate our inner FOB, we chose the Fresh Off the Boat, a laksa with crab, scallops, prawns, clams, salmon, market veggies, and flaky puff pastry. Despite the name, the seafood tasted very Western to me with all the black pepper and spices on top. 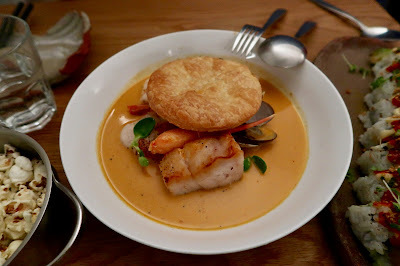 However, the laksa was creamy and hearty, and the scallops were very soft and juicy. The pastry tasted a lot like a cracker and could've been a little softer. 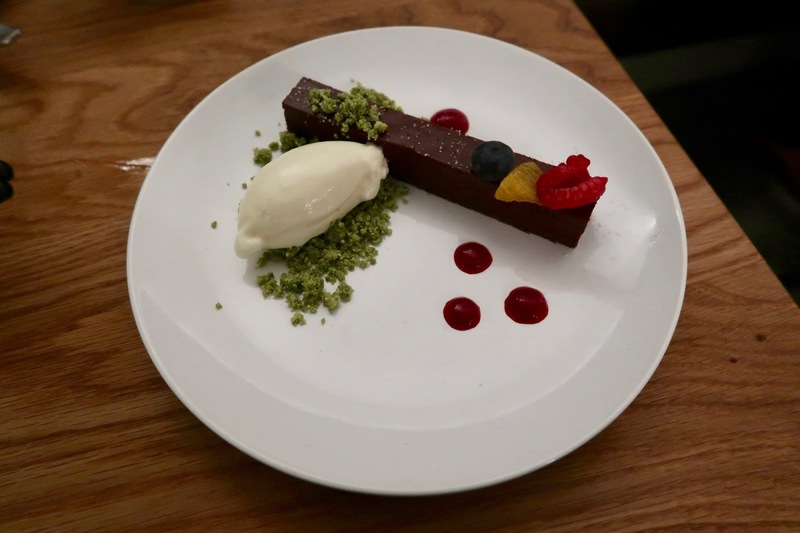 The Magic Stick, our first dessert, featured strong, sweet chocolate ganache with a crispy layer feuilletine at the bottom. The texture was the true highlight here. On the side were a mix of berries and some condensed milk ice cream. Our other dessert, the Milk and Cookie, was a vanilla panna cotta accompanied by a stick of black sesame shortbread. 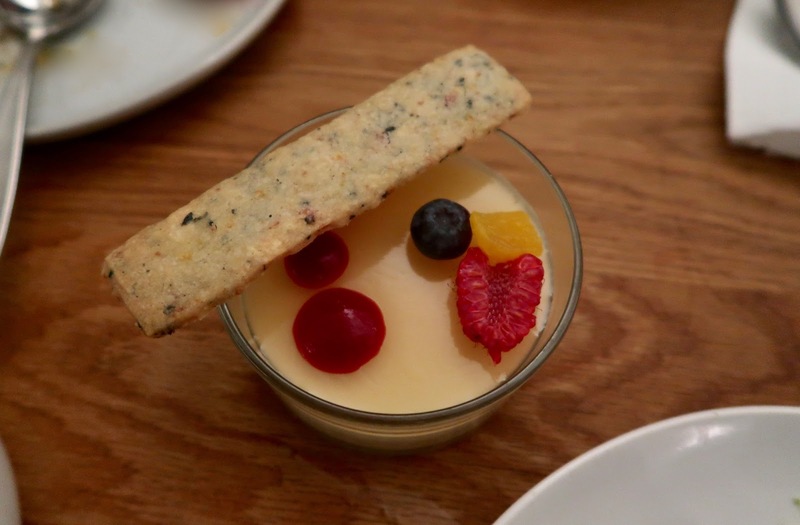 The shortbread was pleasantly sweet, while the panna cotta tasted fruity due to the addition of raspberry jam on top. We found the service on point, and overall, the food was creative in a successful way. The prices are a little steep given the portion sizes and the location of the restaurant, but people come here for the innovation, or in my case, for the amusingly named dishes.